I decided to tackle the Improv panel I made at FQR 2013 in Lu Summers' class next, as I only needed to do some Improv stitching/quilting on it, and then make it into something. So I decided to make one of my current "go to" projects, a cushion, as you can never have toooooooo many on the sofa, right? Well Rob might disagree, but as I have short legs and a deep seat on the sofa, so I do sometimes find it hard to sit upright comfortably and need extra cushions, well that's my excuse and i'm sticking to it! I used solids for the back too, and the fabulous Svetlanas hidden zip method, works every time, absolute genius :o). 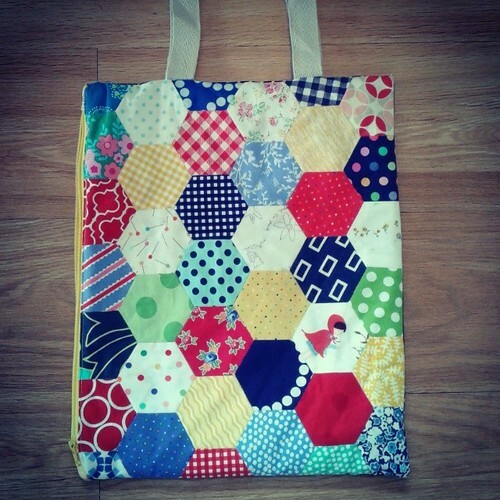 I have also been putting all of my sofa time to good use, and a couple of weeks back finished this Hexy Pushchair Pouch. It's just big enough for a shorter trip out to the shops with the little one, when I just need the basics. I attached the zip to the side for easy access when it's hanging, with velcro adjustable straps on the top to hang on the pushchair. There is also an inside pocket running the opposite way to the outside zip so everything doesn't fall out if it's hanging and I need to use it, and of course the back uses a black polka dot. It's had a few outings, and is proving itself invaluable in ensuring I don't head out without thefood and nappies (not for me I might add, although there is always room for a little chocolate). I do have another of my FAL's done, but it's the Secret Squirrel one, so I can't do pics yet! 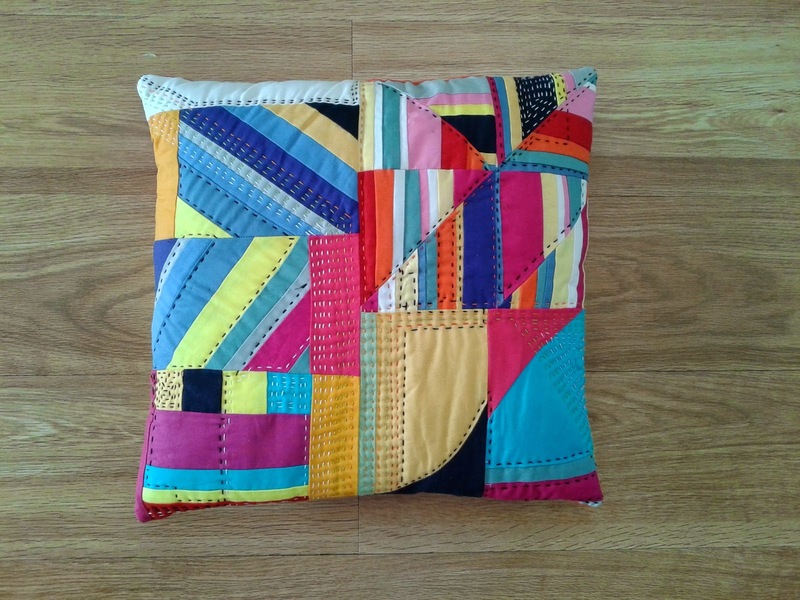 I love how your pillow turned out, it is wonderful. I really love this cushion! Perfect. 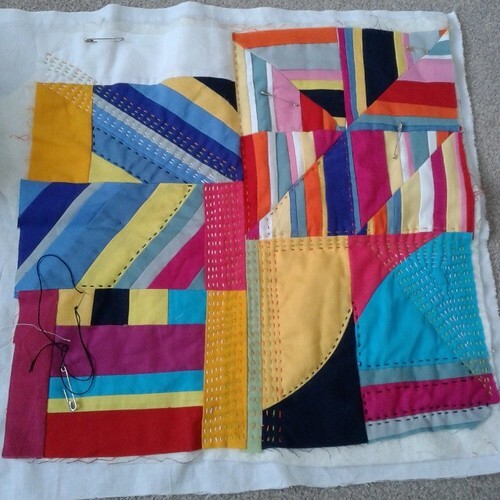 Improv and hand quilting both on my to try list. Oh for more hours in the day/ week!! Oh yes- love the cushion! Yes, never too many cushions!